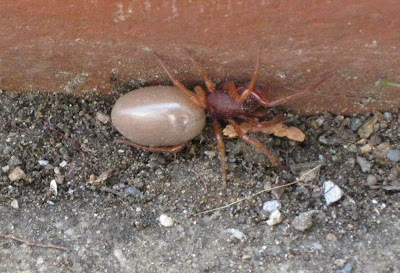 ...otherwise known as a Woodlouse Spider. 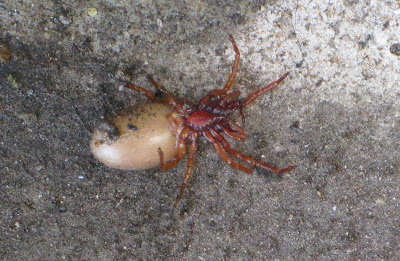 Which I found in our welcome mat. Not the kind of welcome I like! I photographed it so I could look up what it was. Thankfully our little guest is not poisonous to humans, but if you're a wood lice, you better watch out because you're dinner!